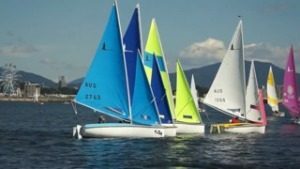 The World Cup in Hyeres did not go well for me. This venue has challenged me since I first competed here in 2013 and every year since. I really thought with the good time on the water in Palma I had made some good improvements that would help leading into France. 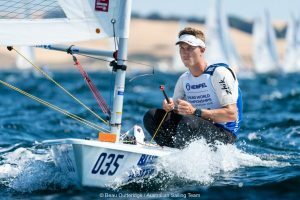 Unfortunately, on the last day before I left Mallorca I found out some bad news about my equipment and had to make a rushed change in Hyeres. I’m not going to blame that for my result because I hate people who do that but it definitely had an effect on my confidence leading into the regatta. Mix in some really high expectations, difficult conditions and a red-hot fleet probably means the result I got was deserved. I did have one fun race at the front of the fleet on one of the lightest wind days but I didn’t have any consistency in my results and felt like my decisions were being dictated by the fleet not the other way around. Having said that everything not to do with the sailing was fantastic. Kenno and I had a great pad overlooking the race course. Only problem was it was a 25 min ride from the club including a 3km climb to the house but we just treated it like a good cool down at the end of the day. Pre-regatta I also did one of the best rides I’ve ever done in Europe and that’s saying something. Will, Euan, Dave, Andrew and I all went out into the hills on a beautiful sunny morning before the sun got up and I saw some parts of the region I had never seen before. To cap it all off I got a delicious almond croissant for breakfast with the boys afterwards. The night before the medal race a bunch of us headed out to the go kart track and got some laps in which was epic. The next day we had the most efficient pack up the team has ever seen and before we knew it we were on the road within hours of the medal race finishing. Mitch and I drove the van while Blackers, Tom and Finn drove the small hire car to a city called Montpellier. Somehow my navigation and kenno’s driving beat the other boys to our hotel despite them being in a small car and us lugging the van and rib around. We weren’t sure what to do that evening so I picked out a pirate themed restaurant nearby that was recommended as the thing to do there. Must say it did deliver with pirate waiters, a proper pirate sword fight and pretty good food. The next day we drove on and made it to our destination, La Rochelle. This is a special place in Europe for Kenno and I as we both raced here back in 2011 for the very first time and we couldn’t wait to be back. We had plenty to reminisce about in the car and both had a strong sense of nostalgia rolling into town. Mitch had booked an epic apartment right in the heart of town and due to Jez no longer being on tour with us we had space to burn. This was the last event of the trip; the European Championships and I was desperate for a good result. Another boat change at this venue left me feeling a little shaky though, especially it being a European boat but I thought of it as good practice for the worlds (where charter boats are mandatory) and thought nothing more about it. I was determined to make this work either way. Another change for this event was a new coach. Tristan has been selected to coach Mitch, Finn and I at the world championships and was using this event as a test to make sure we were happy and compatible with him. Luckily for me T-bone and I go way back to my early years (including being in La Rochelle with me back in 2011) so safe to say I was pretty excited to get to work with him. I started well but not well. My first race was a 5th but I was given a BFD and I think it was deserved. 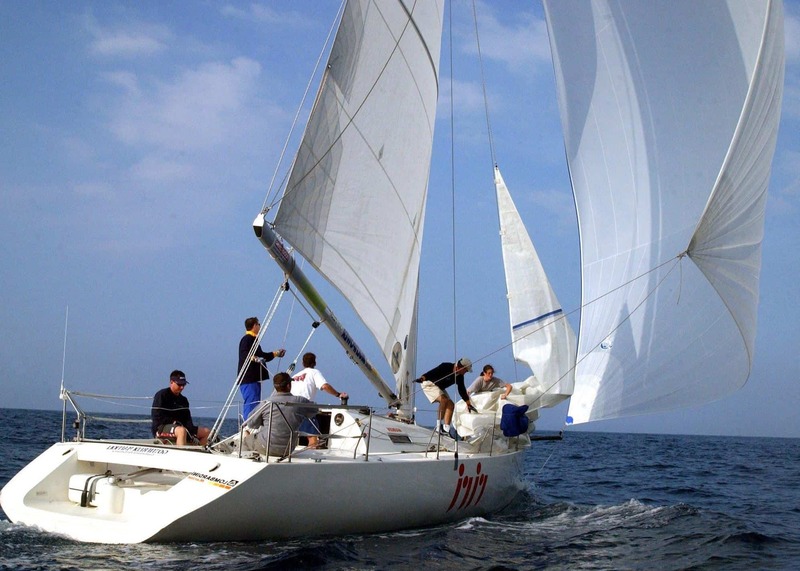 After that hiccup though I raced well to finish qualifying 8th from the 160 strong Laser fleet. I couldn’t maintain my consistency for the finals racing though and unfortunately slipped back to 17th overall to finish my European trip. I struggled to find my way to the front of the fleet and even though I had some good comebacks it wasn’t enough to chase down the leaders. It was a step in the right direction though and gives me some a path to take going forward. The experience I had off the water in La Rochelle was as good as it was on. My friend Sake had been living in La Rochelle for nearly two years with his French girlfriend and was fluent in the language which enhanced our experience to no end. He showed us all about town, showed us the best cafes and restaurants and made the whole trip feel like we were really living there as well. The town markets were literally on our doorstep and every morning we wondered down to buy fresh fruit and bread. To cap it all of Sara, Mitch’s girlfriend, had arranged with me to come over to Europe early to surprise him. The look on his face when she showed up was unforgettable and having her stay with us for the event was really lovely and a good distraction from the racing. Before long we had packed up and for most of us this meant hitting the road to Paris to fly home. Mitch and Sara stayed on to enjoy a holiday in Bordeaux and beyond while Finn and I jumped in a car and convoyed with Blackers, Tom and Tristan. Since being back in Australia I’ve bought my first car which is exciting and I came straight home as quickly as I could which is where I’m writing this from. This weekend I go back to Sydney for the next phase of preparation for the Worlds which is the biggest event of the season. I’ll keep you updated. 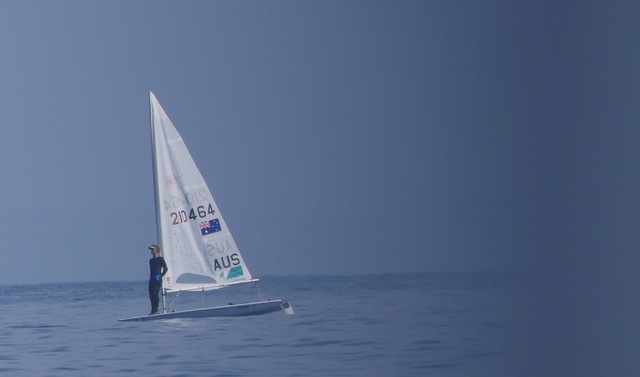 Finally, I would like to say a massive thank you to Yachting Western Australia and The Ron Tough Yachting Foundation for their ongoing support of my Olympic campaign. I know I couldn’t pursue my dream without your help.